Why Work with industrial control? If your company is looking to improve manufacturing efficiency by automating processes, we can help. Save you money by keeping you aware of the most advanced state-of-the-art manufacturing technology. Provide free system consulting that can better optimize both your mechanical and automation device compatibilities. Grant you access to our state-of-the-art lab, plus help from one of our expert engineers, for testing your application. Offer a wealth of knowledge and experience gained through long standing relationships with machine builders. Our specialists can solve your application quickly and give you 1 on 1 assistance. Analyze your potential cost savings in advance of purchase. Recommend highly qualified systems integrators and machine builders. Provide in-house employee training and startup assistance. We have successfully evaluated and helped implement over 1200 machine vision applications for our customers. Over 60% of our customers are machine builders. We are the largest supplier of IAI pre-engineered robotics in Michigan. We supply the two best selling sensor brands in the US, Banner and Turck. 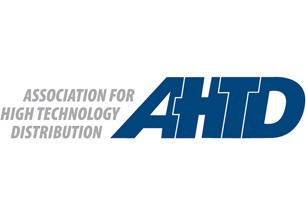 We have been members of AHTD almost since its inception 30 years ago. Our vice president sits on the AHTD board of directors.